The existing road has a crushed rock formation requiring ongoing maintenance, with residents experiencing problems associated with dust, corrugations and potholes. The road services abutting rural properties. Construction of the existing unmade rural road will improve the amenity and quality of access for these properties. 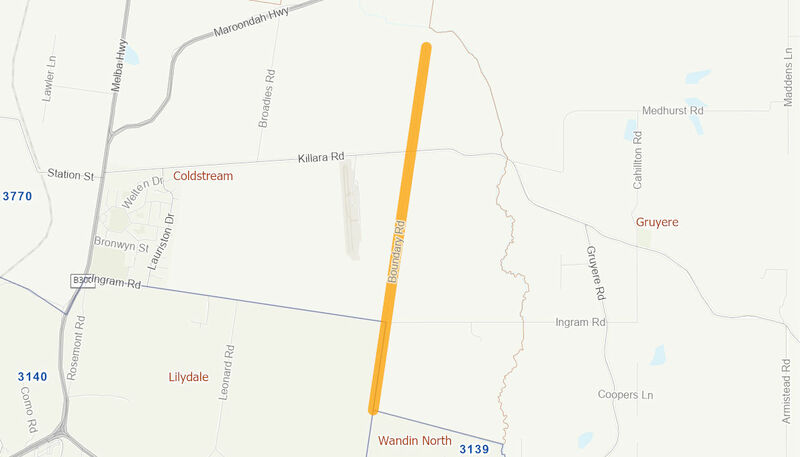 Construction of the existing unmade road (4700 metres) from Cormilo Road to 900 m north of Killara Road generally for a width of 5.0 metres with a rural standard spray sealed pavement. Works will also upgrade existing roadside table drains and driveway culverts.